In continuation of sharing our weekly crafting play dates, here is a project that we did at our house when it was our turn to host a couple of weeks ago. 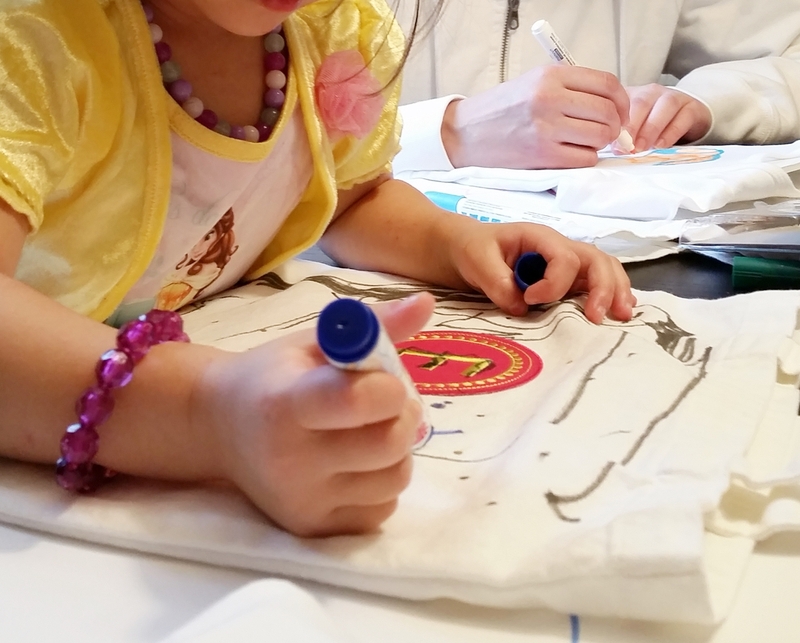 We bought some fabric markers and let each child decorate a shirt and a tote bag to take home. And while the kids decorated their gear, the mommies decorated little baby onesies for one of the moms expecting a new addition this spring. My 3-year-old daughter and I have two friends that we meet on a weekly basis for a crafting play date. 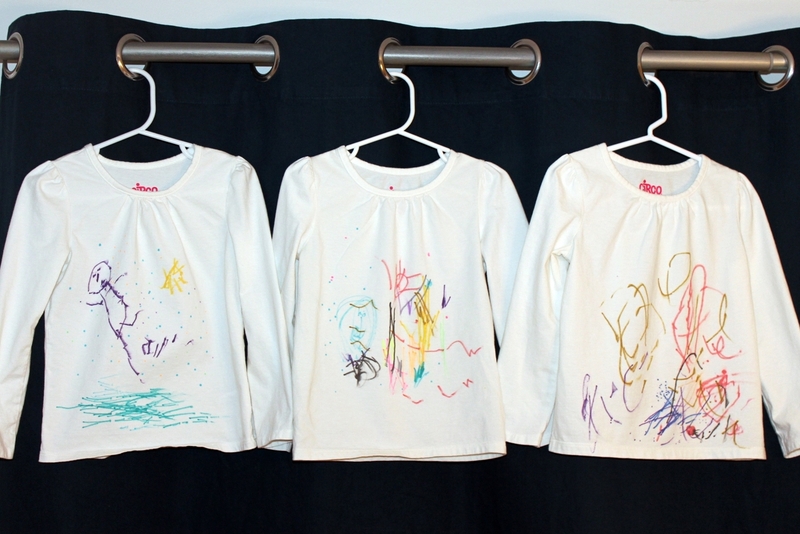 We each rotate taking turns by hosting at our homes, providing lunch, and a fun age-appropriate craft to do together. Today was our sixth get together and after sharing some of the past projects on Facebook and receiving such positive feedback, I thought it might be nice to share the idea with all you in case it inspires some creativity. 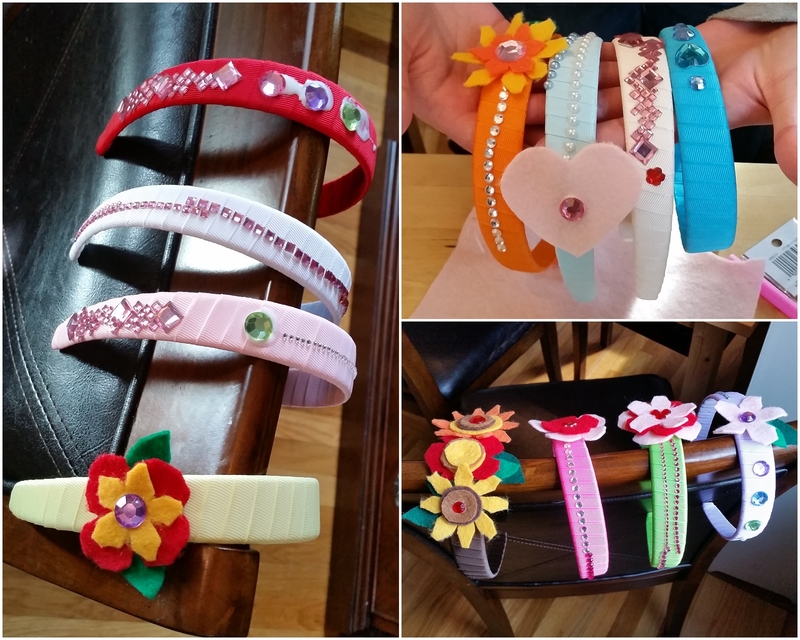 Today’s craft activity was decorating headbands. (In case you couldn’t guess, all three friends are girls.) 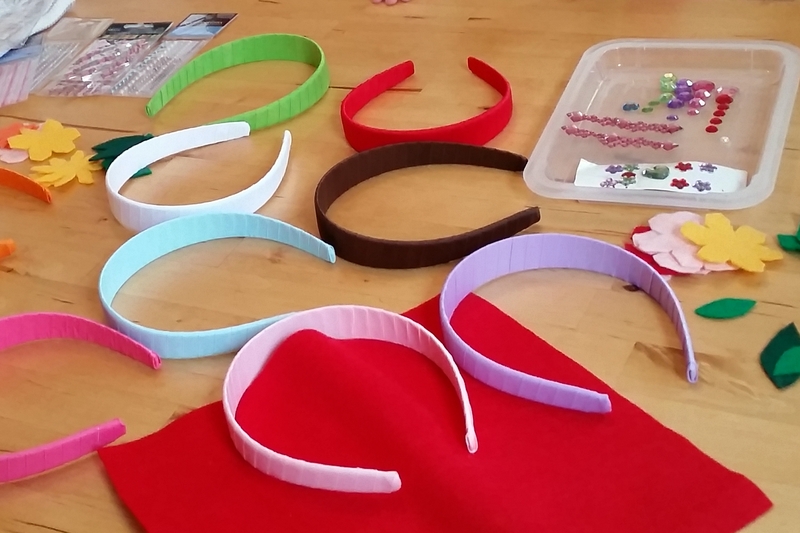 Our friend bought these 1″ wide headbands that are wrapped in grosgrain ribbon from Amazon and they are priced at $13 for a package of 12, so each girl got to decorate 4 headbands. Part of the problem of having three toddlers is that they generally want the same things so we were a little nervous that there is only one of each color in the package. But luckily we spread them out on the table and each girl picked a new color to decorate as we went along until each of them had completed four — all without any quarrels!